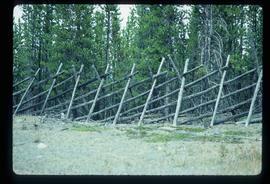 Image depicts a fence somewhere in Anahim Lake, B.C. Fly-fishing on River, Footage of Alert Bay, Robson's Deer, Anahim Stampede. Footage of a group of swans on a lake, possibly Anahim Lake. 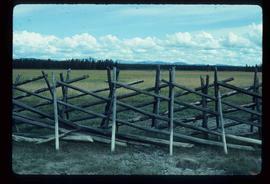 Footage of what is believed to be Al Elsey's front yard.